With the aim of giving a chance of publication to conference participants and providing a scientific competence, we invite conference committees to introduce the best selected papers of their conference to be published in Petrotex journals. The journals are indexed in many valuable websites and were verified under supervision of the U.S. Congress Library. 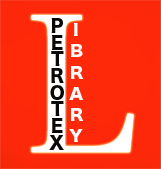 in addition, Petrotex Library will index the conference proceedings in its directory. In that case, all engineering national and international conferences that focus on “energy and environment, chemical engineering, bio engineering, advanced materials, and related nanoscience” are invited to join us and become our partners.